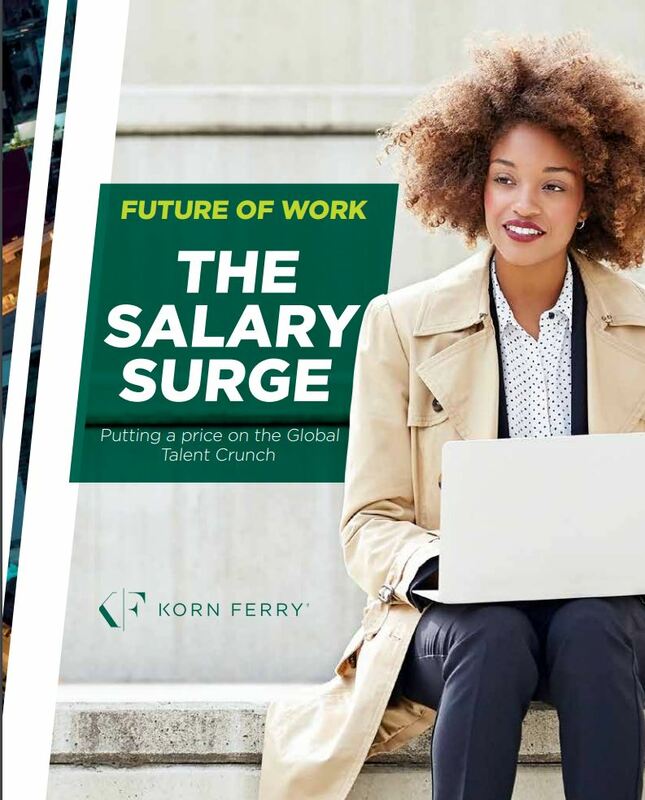 Following the launch of The Global Talent Crunch, Korn Ferry is pleased to share The Salary Surge. This latest report in our future of work series outlines the potential costs that organizations may need to pay to secure skilled talent amidst severe global skilled talent shortages. In The Salary Surge, we project the impact that talent shortages will have on salary bills by mapping Korn Ferry’s proprietary global pay data against the skilled labor shortage estimates across 20 economies at three future milestones of 2020, 2025 and 2030.